Clear styled door handles with injected bubbles to form a decorative effect. The internal door facing part is a chrome knob type. Sold in a pair for two shower doors. 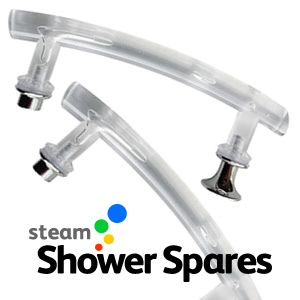 This item is suitable for replacement on many different shower cabins and steam showers that have the same distance between the fixing holes and a 5mm hole for fastening.